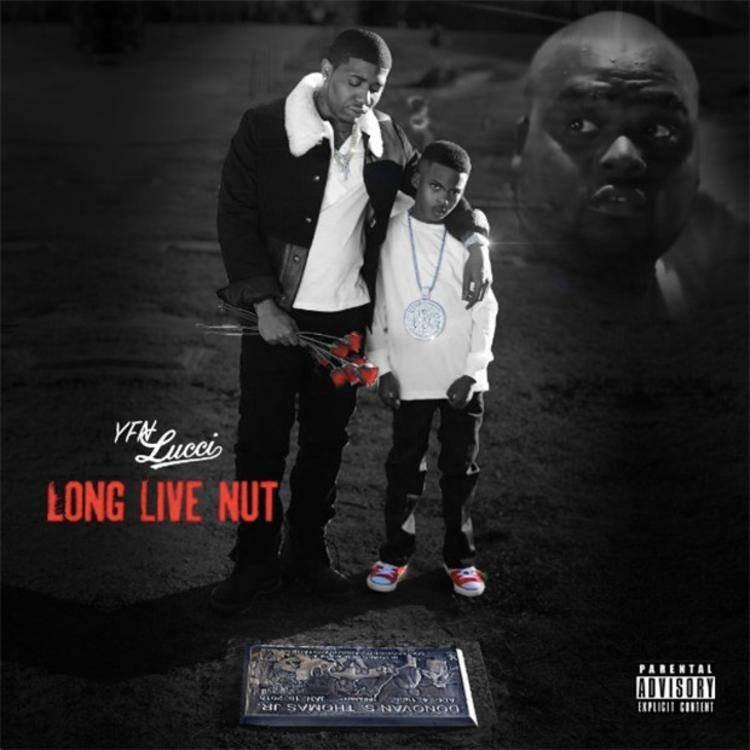 After a harrowing weekend, YFN Lucci has just premiered his new mixtape, Long Live Nut, in honor of his fallen mentor. Citing Nut as the man who essentially put him on the game, Lucci tells Billboard that he's extremely proud of his project, especially after scoring features from Rick Ross & Boosie Badazz. The 9 song project largely boasts a sonic palette of synth pads and trap drums, going from hard to soulful to thoughtful. YFN does his thing on the mic, doing his part to pay a worthy homage to the album's namesake.